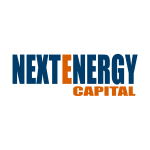 NextEnergy Capital Group is pleased to announce the hiring of Lorena Ciciriello as Head of Debt Financing. The Argentinian-born former Head of Renewable Energy EMEA in the project finance division of Sumitomo Mitsui Banking Corporation (SMBC) will join starting April the 9th 2018. Lorena brings with her an extensive background in financing renewable infrastructure assets in multiple jurisdictions across both established and emerging markets, during development as well as operations. She will be responsible for the structuring and execution of the debt financing transactions across all geographies and investment funds managed by NextEnergy Capital, including the listed NextEnergy Solar Fund and the NextPower series private equity funds. Lorena started her 20yr career in project financing in the PPP/PFI and Water industries and then led for 8 years the SMBC renewables division in Europe, Middle-East and Africa, originating and executing debt financing for $15bn and over 4,000MW of Wind and Solar projects worldwide. She then moved on to set up her private advisory business Ankhal Energy to arrange debt and equity financing for renewable projects in regions such as Argentina, Cuba, Panama, Canada, Mauritius, Zambia, Zimbabwe, Ghana, Madagascar and Niger.